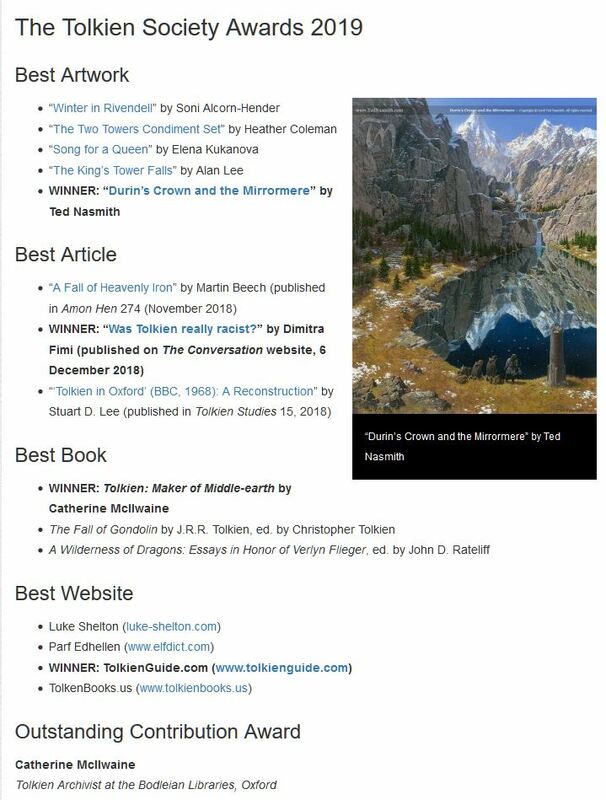 The winners should be posted on the Tolkien Society webpage tomorrow. They have been. Thanks all! Couldn't have done it without all of you, definitely.